(Hicksville, NY, Feb. 15, 2017) -- As ham radio operators in the United States await final FCC action to open new amateur bands at 630 meters (472-479 kHz) and 2200 meters (135.7 kHz – 137.8 kHz), CQ magazine is getting a head-start by introducing a column that will help interested hams get ready to "hit the ground running" once the FCC issues its final rules. The new column - to be titled "MF/LF Operating: Life Below the AM Broadcast Band" - will appear quarterly, starting in the April 2017 issue, and will be edited by John Langridge, KB5NJD/WG2XIQ. Licensed as a high school student in 1989, John's interest in "life below the AM broadcast band" extends back even further, when, at age 11, he read an article in Radio-Electronics magazine about the unlicensed 1750-meter band (160-190 kHz). He had to content himself with operating on 160 meters until the opportunity arose in 2012 to join the ranks of Part 5 experimental stations authorized by the FCC to conduct propagation research in preparation for the new medium frequency (MF) and low frequency (LF) bands at 630 and 2200 meters respectively. He was granted a construction permit and station license for WG2XIQ and maintains a regular schedule of beacon transmissions and two-way contacts on 630 meters. He also shares tips and posts a "grabber," or bandscope view, of 472 kHz (which updates every 5 minutes) on his website at <http://njdtechnologies.net/>. In his column, John says he plans to cover a variety of topics, including station building, propagation, news events affecting LF/MF, and operating strategies. "My goal," he says, "is to market the bands to people who know nothing about them." The title of his inaugural column in the April issue is "Ham Radio Below 500 kHz: What is All of This About and Where Should I Start?" Professionally, John is a consultant in broadcast engineering and information technology, working for a variety of clients. He has a degree in physical chemistry and is currently working toward his Ph.D. in that field. John and his wife, Paula, KD5YHI, live with their pets in the Dallas, Texas, suburbs. John's column will appear in the January, April, July and October issues of CQ. "We are looking forward to sharing John's knowledge and experience with our readers," says CQ Editor Rich Moseson, W2VU. "CQ has always been a leader in promoting new bands and modes, and in helping hams use and enjoy them. We are already seeing a growing interest in our soon-to-come MF and LF bands and John's column will be here to help our readers get active on them as soon as they become available for general use." Following a social media firestorm regarding customer relations, HRD Software co-founder Rick Ruhl, W4PC, has left the company and the ham radio industry. In a January open letter to customers, co-owner Michael Carper wrote that he and fellow co-founder Randy Gawtry would be assuming day-to-day management of the company. The story goes back to last September, when a Ham Radio Deluxe customer posted a negative review of the product on a ham radio website. HRD management became aware of the review and added the customer's callsign to an internal "problem customer" list that blocked him from running future versions of the software. In December, the customer encountered some problems and created a "trouble ticket," according to Carper. A technician suggested that he install the latest version of the software, not knowing that it would not run under the customer's call. Apparently, the customer then had trouble re-installing the previous version and took his beef to social media, complaining (inaccurately, according to Carper) that HRD had hacked his computer. The post went viral and was reposted on a variety of blogs. In addition to Ruhl's departure, Carper said the capability to disable the program based on a customer's callsign has been removed from the software and the license agreement has been modified to clarify that a customer has a perpetual license to use the version of the software that he/she has purchased. 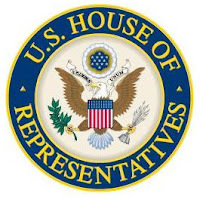 The House of Representatives has again passed the Amateur Radio Parity Act, re-introduced in the new session of Congress as H.R. 555 and again sponsored by Rep. Adam Kinzinger (R-IL). The bill would require homeowners' associations to permit the installation of outdoor amateur radio antennas, subject to "reasonable written rules" on height, location, etc. The House passed the same bill, then known as H.R. 1301, in the previous Congress, but it was not acted on by the Senate before Congress adjourned. The new bill once again passed with unanimous consent and, at press time, was once again awaiting Senate action. 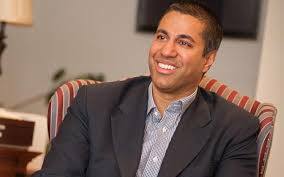 President Trump has named FCC Commissioner Ajit Pai as the agency's new chairman. Pai, a Republican, was named to the Commission in 2012 by President Obama and was unanimously confirmed by the Senate. Pai has promised to use a "weed whacker" to eliminate outdated or unnecessary FCC regulations, and to bring more transparency to the Commission's decision-making process. One of his first moves was to begin a pilot program of releasing the texts of Notices of Proposed Rule Making (NPRMs) and Reports & Orders scheduled to be considered by the commissioners at the next FCC meeting. Until now, texts have been released only after adoption by the Commission. At press time, there were two vacancies on the FCC - one for a Republican and one for a Democrat - that need to be filled by the President and confirmed by the Senate. The ARRL has petitioned the FCC to expand current amateur allocations on the 60-meter (5 MHz) band to include the 15-kHz segment from 5351.5 kHz to 5366.5 kHz while keeping the discrete channels and power levels currently authorized. The additional frequencies were authorized worldwide by the 2015 World Radiocommunication Conference (WRC-15) for a secondary allocation to amateurs. U.S. amateurs have been permitted to operate on five discrete channels within the band since 2003, and according to the ARRL, there have been zero reports of interference by amateurs to the primary federal users of the band. Four of the five current channels are outside the band segment authorized at WRC-15, and the ARRL asked the FCC to retain those while adding the new segment. In addition, the League asked the Commission to retain its current maximum power level of 100 watts PEP effective radiated power for hams on 60 meters, rather than the 15-watt effective isotropic radiated power limit set by WRC-15. The ARRL has filed an "extremely urgent complaint" with the FCC, asking it to take enforcement action against the sale of certain audio/video transmitters for unmanned aerial vehicles (drones) that it claims could cause interference to air traffic control and navigation. According to the ARRL Letter, the LawMate transmitter and companion 6-watt amplifier are marketed as amateur radio equipment but operate on frequencies between 1010 and 1280 MHz, potentially interfering with air traffic control transponders, navigational aids, GPS and other critical aeronautical safety systems. The complaint notes that only one of the frequencies used - 1280 MHz - is even within an amateur band, and says "the target market for these devices is the drone hobbyist, not licensed radio amateurs," adding that as configured, the devices have "no valid Amateur Radio application." There was no word at press time as to any FCC response. The FCC has turned down two requests for changes in amateur licensing and operating privileges. According to the ARRL, James Whedbee, N0ECN, petitioned to have all existing Novice Class licenses converted into Technician Class, and likewise, for all Advanced Class licenses to be converted to Extra Class. Jeffrey Siegell, WB2YRL, asked the FCC to open Extra Class CW subbands to Advanced Class licensees. The commission noted that it had received - and turned down - similar requests in the past and said the petitioners had not shown that anything had changed to the extent that reconsideration was warranted. used on 630 meters to help with propagation research. Activity on the 630-meter band (472-479 kHz) is increasing and propagation is improving as the sunspot cycle heads toward its minimum, according to the coordinator of the ARRL's 600-Meter Experimental Group, operating as WD2XSH. The ARRL Letter says Fritz Raab, W1FR, reports that there are frequently more WSPR (Weak Signal Propagation Reporter) signals on 630 than on 160 or 80 meters. "In a sense," he says, "630 meters has become a mainstream ham band, in spite of not being authorized in the US." The "sliver" band is open to all hams in some countries as well as a limited number of US amateurs operating under experimental licenses. 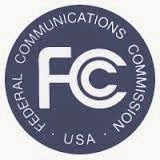 The FCC proposed a secondary allocation for US hams nearly two years ago but has not yet issued a final ruling. CQ will begin publishing a quarterly column on 630-meter and 2200-meter operating in the April 2017 issue. For the third year in a row, the FCC in 2016 issued more than 30,000 new amateur licenses, with 32,552 new hams joining the hobby. According to ARRL VEC Manager Maria Somma, AB1FM, just over 32,000 new licenses were issued in 2015 and more than 33,000 were granted in 2014. Over the three-year period, nearly 100,000 new amateurs joined our ranks. The ARRL Letter also reports that the total number of US amateurs at the end of 2016 was 742,787, up nearly 7400 from the end of 2015, although down slightly (by 216) from the all-time record of 743,003 as of November 30, 2016. Charlie Hellman, W2RP, became a Silent Key in late January. At age 106, he was believed to be the oldest living US amateur, as well as the longest-licensed, having been consecutively licensed since 1925, a span of 92 years! Hellman's first license would have been issued by the Federal Radio Commission, the predecessor of the FCC. The first woman in Maine to become a licensed amateur has also died. According to the ARRL, Mary Wallace Cousins, ex-W1GSC, passed away January 28 at age 108. She was first licensed by the Federal Radio Commission in 1933. She told a Bangor TV station last fall that at that time, ham radio "was something that the girls did not do, and the boys were doing it all the time, and I said, 'I can do it, too.' And I did." Former New York Marathon Race Director Allan Steinfeld, W2TN (formerly KL7HIR) also became a Silent Key in late January. He was 70. According to the ARRL Letter, Steinfeld is considered one of the fathers of the modern running movement, having developed many of the protocols necessary for successfully conducting a major event. At the other end of the age spectrum, 12-year-old Bryant Rascoll, KG5HVO, will be heading to Costa Rica this August to take part in the Youth DX Adventure. Rascoll is this year's winner of the Dave Kalter YDXA essay contest. His winning entry also netted him a transceiver, power supply, antenna and feedline. For more information on YDXA, visit <http://qsl.net/n6jrl/>. This year marks the 150th anniversary of Canada's confederation, and amateurs there are being permitted to use special prefixes all year to celebrate. The ARRL Letter reports that Canadian hams holding VA-prefix calls may substitute CF as their prefix. Likewise, VE-prefix hams may use a CG prefix this year; VO calls may be identified with a CH prefix and VY call sign holders may substitute CI. Building on the success of a 60-meter interoperability exercise in December, the Federal Emergency Management Agency's Region X - which includes Alaska, Idaho, Oregon and Washington - is planning similar drills every month this year. The 60-meter band is shared by amateurs and federal government stations, so it is ideal for such an exercise, according to a report in the ARRL Letter, which notes that the activity has received specific authorization from both the FCC and the NTIA, which regulates federal government stations. In addition to hams and FEMA stations, participants in the monthly drills will include Army and Air Force MARS members and stations in SHARES, the federal government's HF radio network. A ham from Maryland who activated every available National Park Service (NPS) site in the Washington, DC area for last year's National Parks on the Air (NPOTA) program was invited to help the park service with communications during January's presidential inauguration and the Women's March on Washington the following day. The ARRL Letter reports that Jeff Dahn, KB3ZUK, who is a former law enforcement officer, was invited to serve as a volunteer communications officer at the NPS Incident Command Post during both events. Dahn is also president of the HacDC Amateur Radio Club, whose W3HAC club station served as net control for hams helping those arriving for the march on January 21. At several points, Dahn reported, amateur radio was "the only working communication link between organizers, marshals, volunteers and marchers." NPS Eastern Incident Management Team Communications Officer Gary Shipley, N5GQD, said Dahn "provided timely and valuable assistance" during both events and that "his participation was key to the success of the misson." fall meeting last December in San Francisco. The 24,000 scientists who attended last December's fall meeting of the American Geophysical Union (AGU) had an opportunity to be introduced to HamSCI, the Ham Radio Science Citizen Initiative (www.hamsci.org). The ARRL Letter reports that the organization was featured in two poster presentations, "HamSCI: The Ham Radio Science Citizen Investigation," by group co-founder Nathaniel Frissell, W2NAF, a post-doctoral research associate at the New Jersey Institute of Technology; and "Characterizing the Ionospher Using a Commercial Off the Shelf Software Defined Radio System," by Virginia Tech undergrad Magda Moses, KM4EGE. The weeklong conference was held in San Francisco. 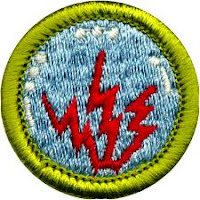 Amateur Radio Direction Finding - also known as ARDF or "foxhunting" - is being added as an option for Boy Scouts working toward the Radio Merit Badge, according to the ARRL Letter. The option reportedly will combine foxhunting with orienteering. Other new options being added once the new Boy Scout requirement pamphlet is published include cell phones and different types of radio modulation. They will replace requirements dealing with open, closed and short circuits, as well as components and schematic diagrams, as they are already included in requirements for the electricity and electronics badges. An ARDF course is planned for this summer's National Scout Jamboree in West Virginia. Registration is open for the 2017 session of Contest University at the Dayton Hamvention®. The daylong event will be held on Thursday, May 18 at the Crowne Plaza Hotel in Dayton, Ohio, and will include some two dozen seminars on different aspects of contest operating. The fee is $85, including breakfast and box lunch, with scholarships offered for attendees under age 25 and a $10 discount for anyone who has given a talk or had an article about amateur radio published since the 2016 session. For more information, visit <https://www.contestuniversity.com/>. The YASME Foundation has recognized the contributions of two amateurs with its Excellence Award and announced grant support of six organizations, according to the ARRL Letter. Pekka Ketonen, OH1TV, is being honored for his many technical innovations; and Hani Raad, OD5TE, is being recognized for his work in promoting amateur radio throughout the Arab world and reintroducing amateur license exams in his home country of Lebanon. The organizations supported include the Radio Club d'Haiti, with an additional grant for purchasing emergency communications equipment; LightHouse for the Blind and Visually Impaired, to buy gear for a station at its new headquarters in San Francisco; and WRTC 2018, to sponsor the "Ham Widows' Ball" for family members of participants. In addition, the CWOps group is accepting nominations for its annual award for "advancing the art of CW." Qualifying activities include writing CW-related books and articles; recruiting, training and mentoring new CW operators, organizing CW activities and more. Nomination deadline if April 15, 2017. For more information, visit <http://www.cwops.org/awards.html>.